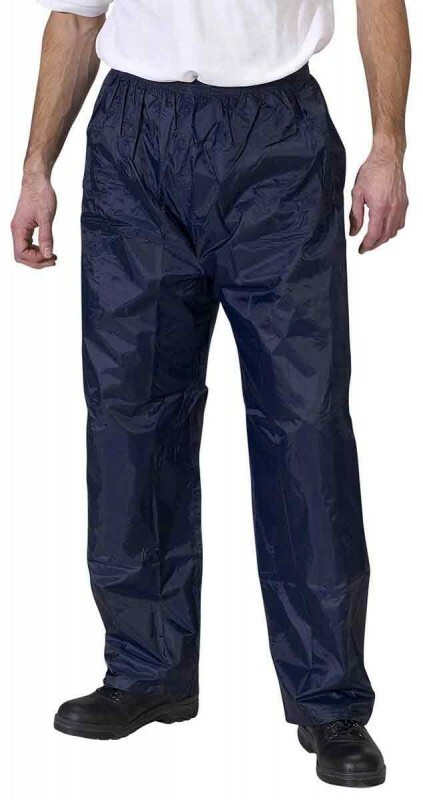 A great value pair of cheap waterproof overtrousers. Lightweight PVC/Nylon overtrousers from B-Dri. Fully taped with elasticated waist and access to pockets. Adjustable studs at the ankles. The B-Dri PVC/Nylon Overtrousers are excellent value. S fits 28 - 30" waist,M fits 32 - 34",L fits 34 - 36",XL fits 36 - 38",XXL fits 40 - 42",XXXL fits 44 - 46"